Build Engaging Apps for Google Assistant and Google Home with Trivia, Personality Quiz and Flash Cards without coding. Create and Publish high quality Apps for Google Assistant. Work with Trivia, Flashcard and Personality Quiz easily. Test Apps in Actions on Google Simulator. How to Design Apps for Google Assistant. Understand Google Assistant Development Completely. Be able to Earn Excusive Google Assistant T-Shirt and Google Home. No Previous Programming knowledge is required. 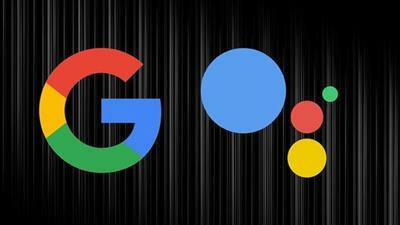 No Prior knowledge about Google Assistant is required - Just follow the steps to get the results ! Welcome to my "Trending - Google Assistant Development - Build Engaging Apps" course. You'll learn about Google Assistant Development from Scratch! Here, You will learn to make High Quality apps for Google Assistant & Google Home and test these apps in Actions on Google Simulator. NO PROGRAMMING KNOWLEDGE is required. Just follow the steps to get the results. You DON'T NEED TO HAVE GOOGLE HOME, we will test on the simulator. We'll make three applications in this course namely POLITICS QUIZ, PERSONALITY DEVELOPMENT RECORD and PARENT ANIMALS. Google will award you with exclusive Google Assistant T-Shirt for deploying your first app and Google Home if you hit any Milestones and if you deploy your app before 31st July 2018. You'll understand Google Assistant Development completely. Yes, Google Assistant Development is a Big Opportunity to learn, Developers are investing their time and capital to make these assistants more user friendly and also there is no doubt that assistants are going to influence business in future and our day to day lives. Be one of the first people that know how to build apps for the Assistant. You can build it for your business or other people. If you have any Questions & Doubts or if you find any Error in Actions on Google Simulator or anywhere then please let me know. I'll sort it out as soon as possible. You can Contact me via Private Messaging. This will help me and the course to get better. I'LL BE THERE FOR YOU. I help all my students at every step of development. This is the LATEST course made from Actions on Google Console so you need not to worry. If there are any changes, I'll make this course as fresh as it can be. So, What are you Waiting for ? Click on ENROLL BUTTON now and get started. Anyone wanted to Build High Quality Apps for Google Assistant. Anyone wanted to earn Excusive Google Assistant T-Shirt and Google Home. Anyone wanted to attract users towards their Apps and increase number of Conversations in their App.